Two years ago (2017) I got a Dell Inspiron 7459, and when I tried to install Linux Mint 17 (Cinnamon) I was unable to select the correct drive during the installation because the only drive I could see was the FlashDrive used for the installation. I assumed that the linux kernel included in the installer was too old for the recent hardware. Today, I just upgraded the BIOS firmware to its latest version and tried the latest Linux Mint 19.1, but it didn't make any difference. 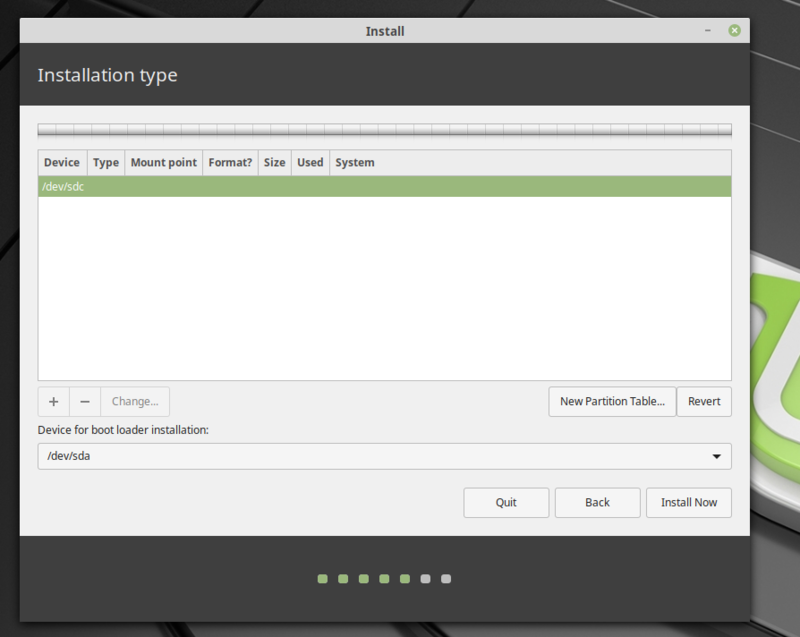 How can I make visible the hard drive during the installation of LinuxMint? Browse other questions tagged linux linux-mint or ask your own question. How do I get rid of these broken package errors and install Mate in Linux Mint 16 Petra? Why my Linux Mint 19 does not see my (Windows) NVMe drive?